Soundings Trade Only is inviting readers who are dealers to participate in the monthly Marine Retail Pulse Report survey. 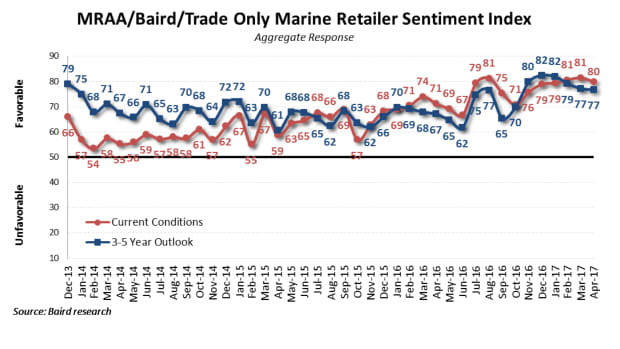 Marine dealers reported continued momentum in June, though confidence slipped somewhat from May. Soundings Trade Only is inviting readers who are dealers to participate in the monthly Marine Retail Pulse Report survey, which seeks to identify retail trends at the dealership level. 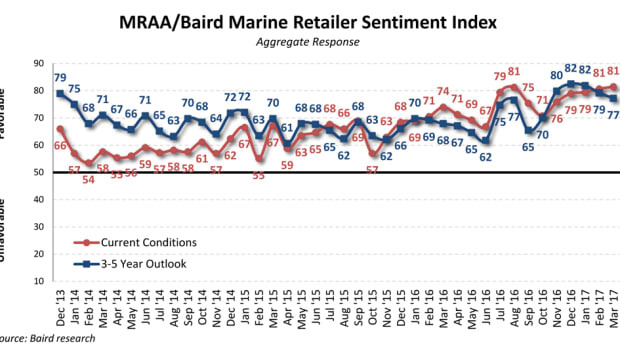 Marine dealer sentiment ticked down slightly in April, but was significantly higher than in the same month last year for businesses surveyed in the MRAA/Baird Marine Retailer Pulse Report. 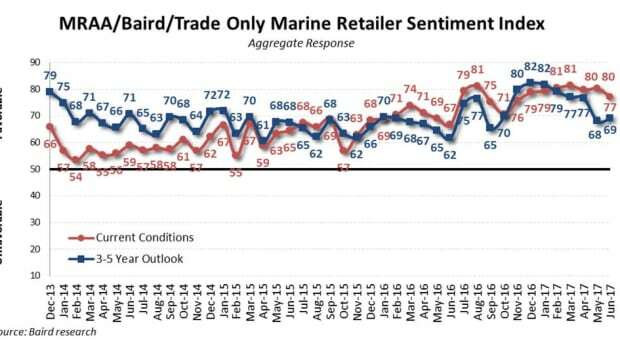 Recreational marine dealer sentiment ticked down slightly in April. Marine dealers reported strong new-boat sales growth in March, albeit at a lower rate than in February. Trade Only believes its print and online readers will value the monthly reports. Trade Only joins the partnership this month to participate in the distribution of the survey and the reporting of its results.